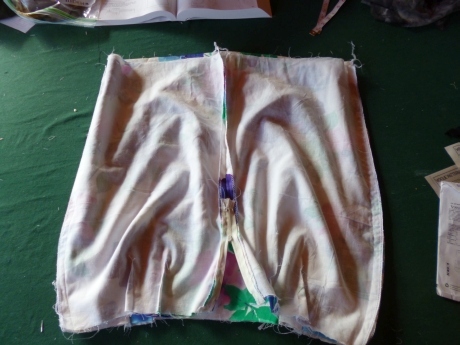 I am feeling pretty good about my sewing at the moment. Don’t you just love it when a plan comes together. 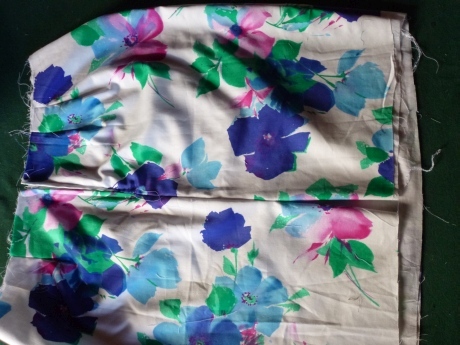 I have had this lovely printed cotton for a long time it was a part of my fabric stash that had been waiting for the right garment.I have just finished a fun colourful skirt that was so easy and fun . 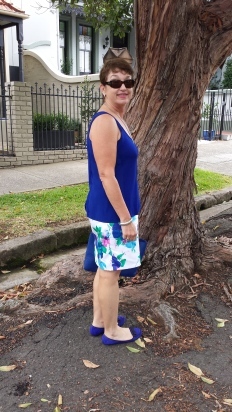 I used a pattern I have had for quite a while Vogue 2092. This is a wonderful pattern the skirt has no waistband .Oh Yeah !I am a big fan of the lack of waistband on a skirt .It is so comfortable it to sits on your hips, and it has a nice straight style. 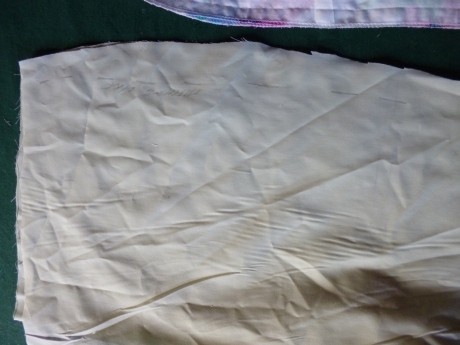 I had not used this pattern before so this is my wearable muslin. 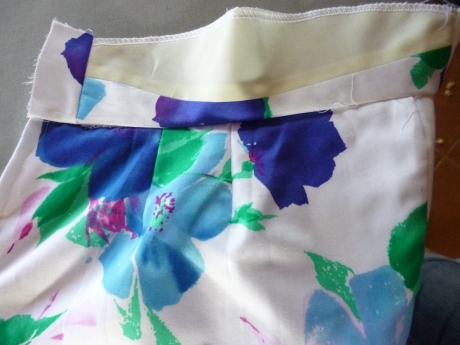 I lined it in voile as a layer , as it wasn’t very heavy and a separate lining in white polyester for comfort. 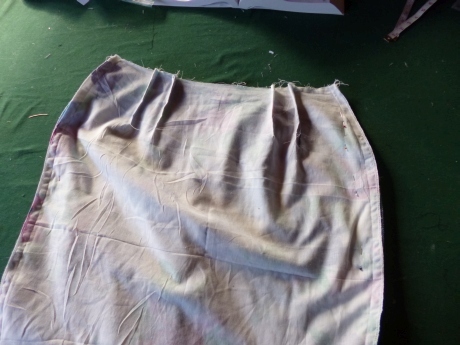 I drafted the pattern onto cotton fabric to fit and do adjustments before cutting.The skirt has 2 sets of darts in the front and the back. 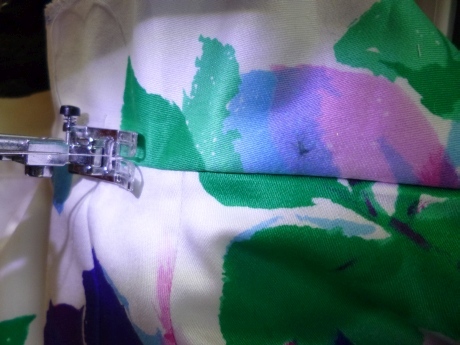 The skirt has a back zipper and a back split. 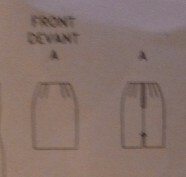 I have actually cut out another two skirts from this pattern and will talk about them when they are done. 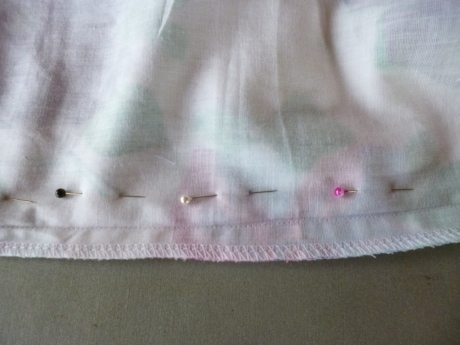 The skirt required a little bit more fabric than I had so I had to find some extra cotton for part of the facing.
. 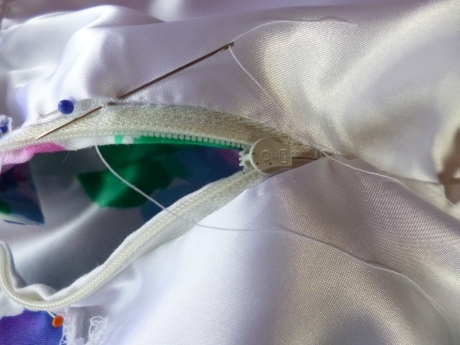 I needed to adjust the side seams before completion as it was a little bit bigger than I wanted. It fits well and is a great addition to my wardrobe. It is such a lovely colour and it is so comfortable . I have decided for myself life is to short to wear uncomfortable clothing. I love style but really value garments that are not hard work to wear. 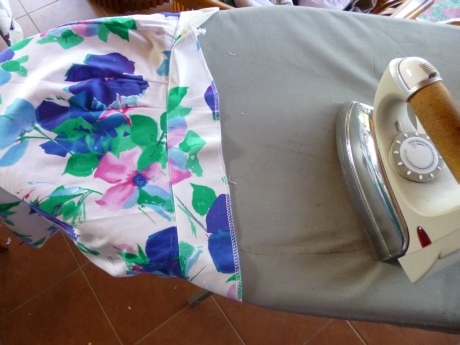 This entry was posted in Uncategorized and tagged colour, cotton skirt, Floral. Bookmark the permalink. Thanks Robin I am really happy with this pattern I think it will get a lot of use. 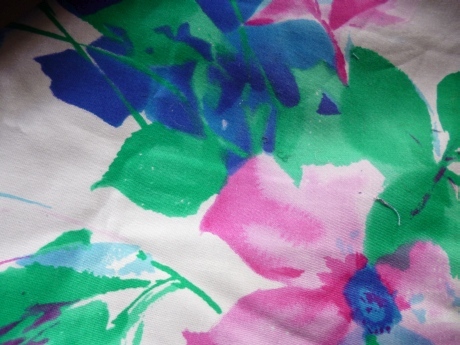 Love the floral print and envy your warm weather. 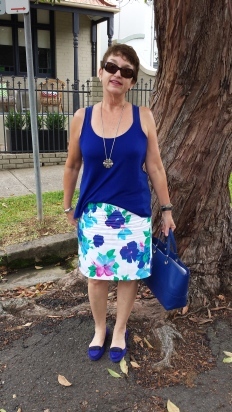 A great fitting skirt can be so comfortable, I’m a fan.